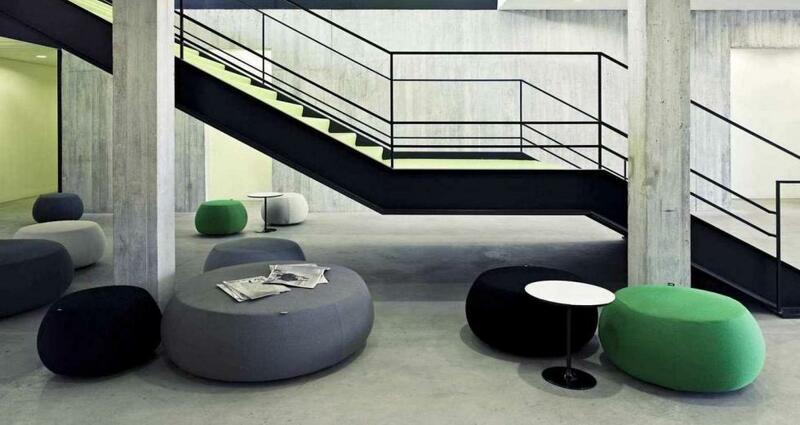 Low table with oval base in white lacquered steel and small oval top in white MDF. The base is available also in shiny lacquered light blue, gray, moka, red, sand, green or black, with oval top in shiny lacquered MDF, covered with a white self-adhesive PVC film. Height cm 50 – 19 5/8″. Dimensions: 51 x 47 cm. With a deceptively simple, visually striking, silhouette, Dizzie tables are ideal for diverse settings from the domestic to the commercial. 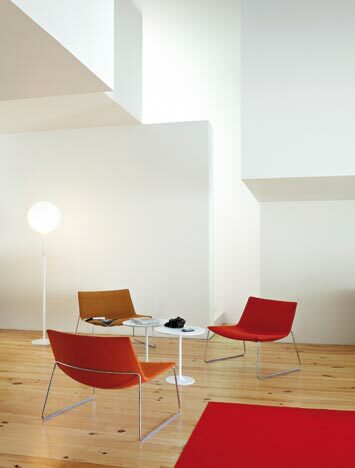 The sensuous, organic shape of the base suggests a drop of mercury. 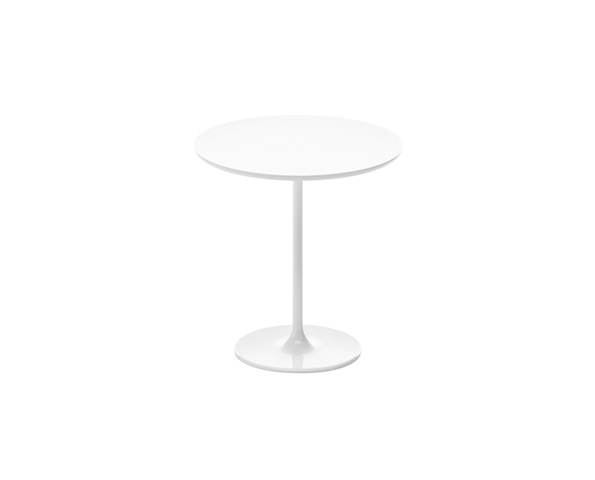 Table bases are available in chrome or white-lacquered steel. 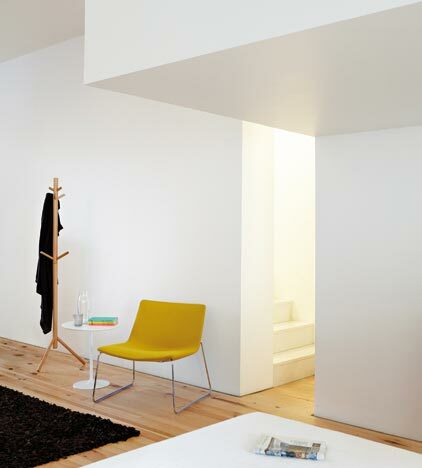 White or laminate MDF tops are available in large oval, round, square or small oval. 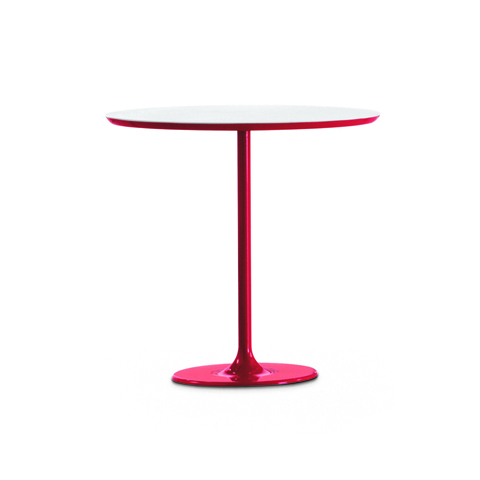 The smallest version (51 x 47 cm – 20 1/8″ x 18 1/8″) is available with oval base and table top edge lacquered in seven vibrant colors – light blue, gray, moka, red, sand, green and black – in addition to white.